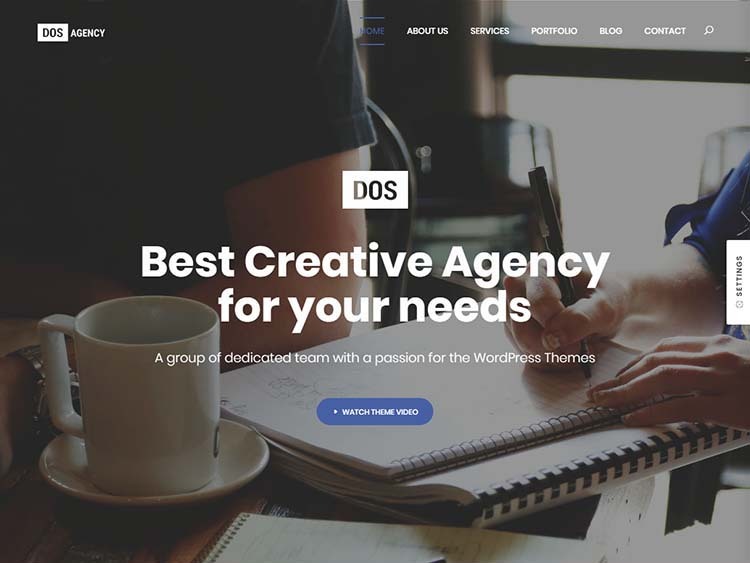 For this collection, we’ve assembled some of the best small business themes available for WordPress in 2019. New entrepreneurs looking to build a WordPress-based site for their venture, or seasoned business owners who want to give their existing site a makeover, will find some excellent options on this list. The themes we’ve gathered feature contemporary designs and are meticulously coded to be fast and SEO friendly. They’re fully responsive and mobile-friendly, an essential feature of any modern, small business website. It would be difficult to understate the importance of providing a consistent, user-friendly experience to your visitors across the spectrum of devices–from smartphones, to high-end desktops, and everything in between. The themes we selected for this roundup will adapt well to a variety of different niches and industries. Most of these are large, multipurpose products that offer pre-built homepages and presets, in addition to their large option sets. You’ll be able to do an endless amount of tweaking and customization to really make the theme your own. Alright, let’s get into it. 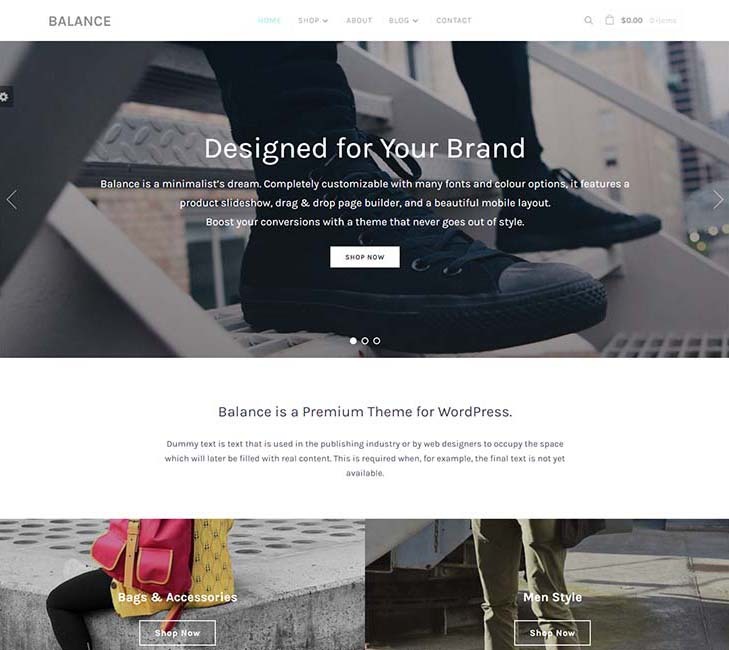 These are, for our money, some of the best small business themes now available for WordPress. 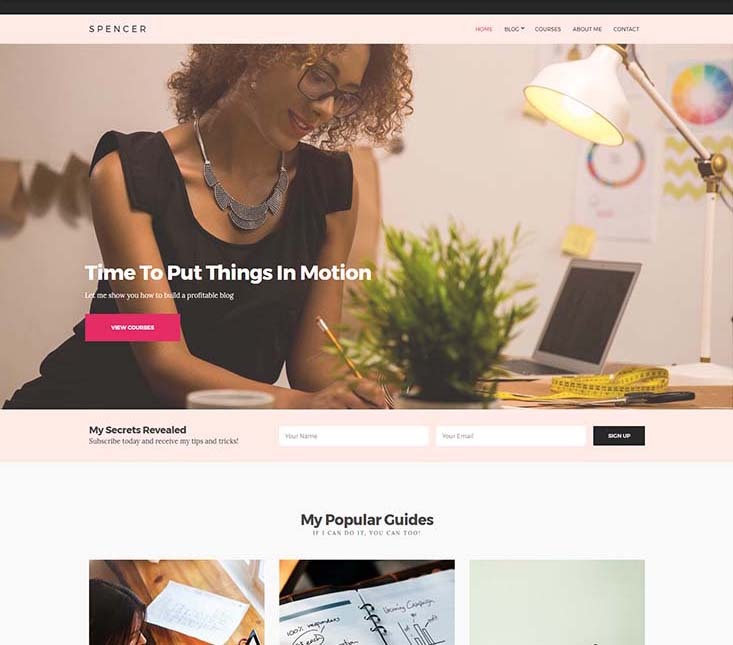 We also have a list of the best WordPress small business themes under $20. 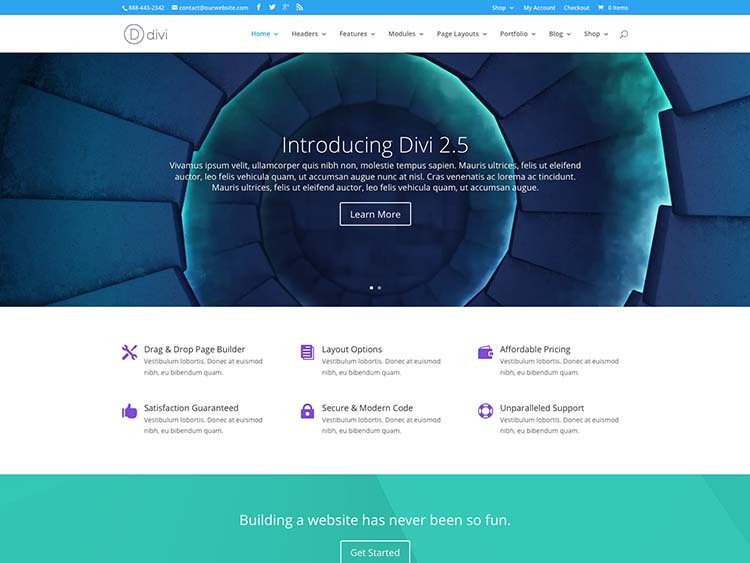 Possibly the most famous theme on our list (and the best-selling), the DIVI theme was developed by the WordPress experts at ElegantThemes to be as versatile as possible. 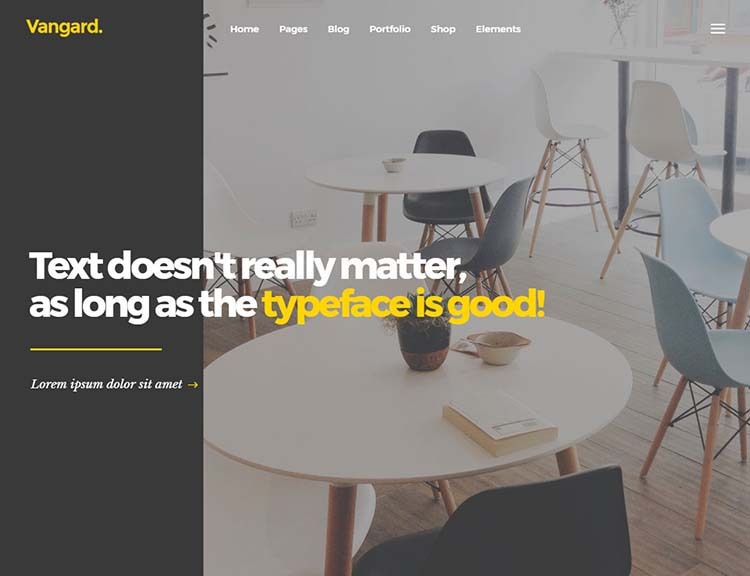 Powered by their proprietary Builder plugin, and featuring the pixel-perfect, modern design we’ve come to expect from this veteran theme developer, DIVI earns our top stop and highest recommendation. 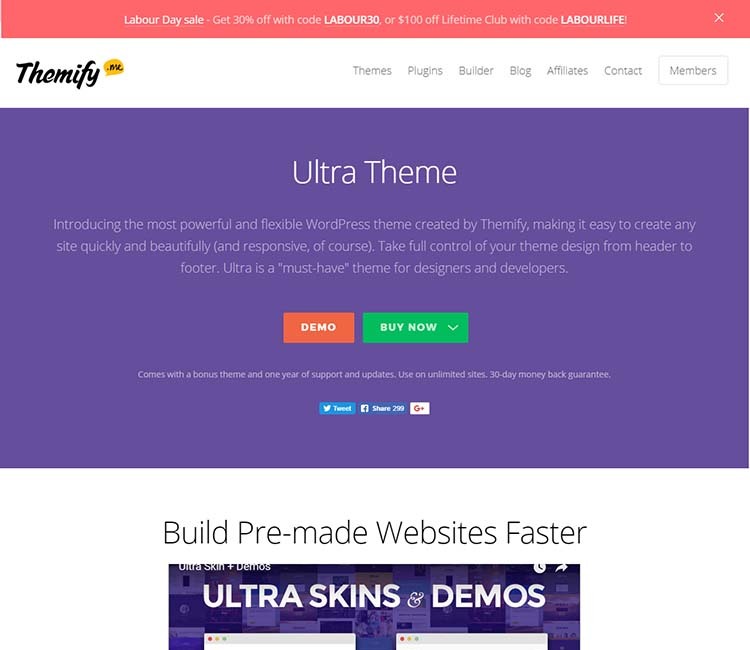 Occupying a space similar to DIVI, Ultra from Themify is another theme that allows you to take full control. It’s endlessly flexible, and wonderfully coded. The design is sleek and contemporary, and Ultra boasts speedy performance and SEO friendly coding to help you score a top spot in the SERPS. 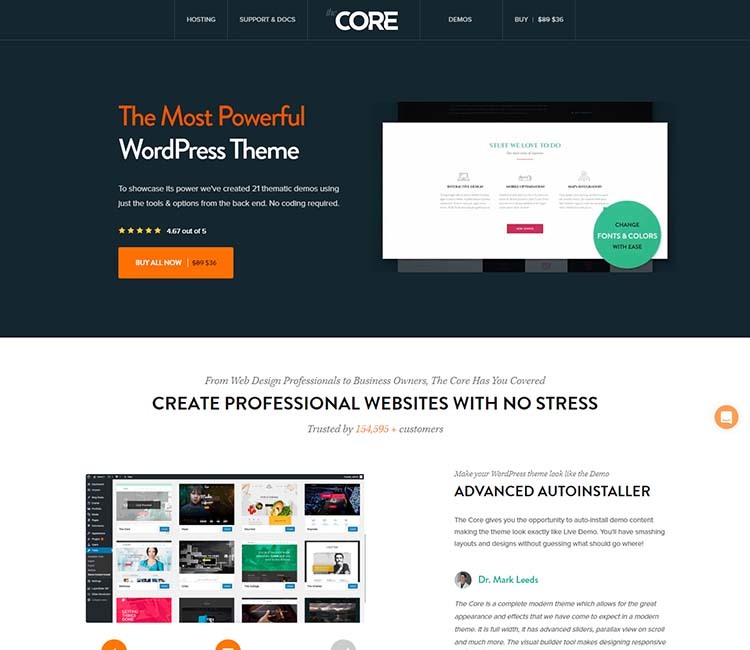 Another jack-of-all-trades product, The Core from ThemeFuse includes a variety of presets to get you started (possibly even one already tailored to your business niche). This company has been around for a long time, and that experience shows in the design, coding and support. 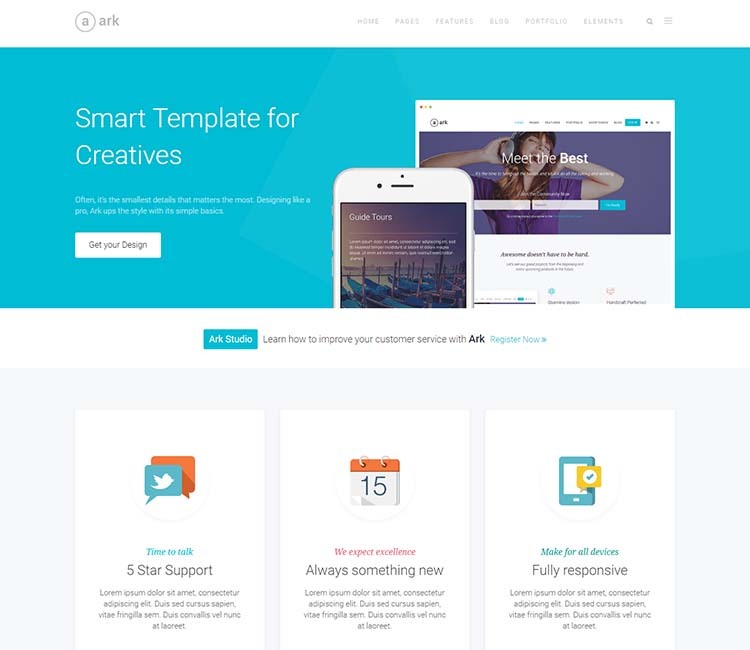 Ark is another huge, multipurpose business theme suitable for a variety of uses, endlessly customizable, and featuring a great choice of preset designs. 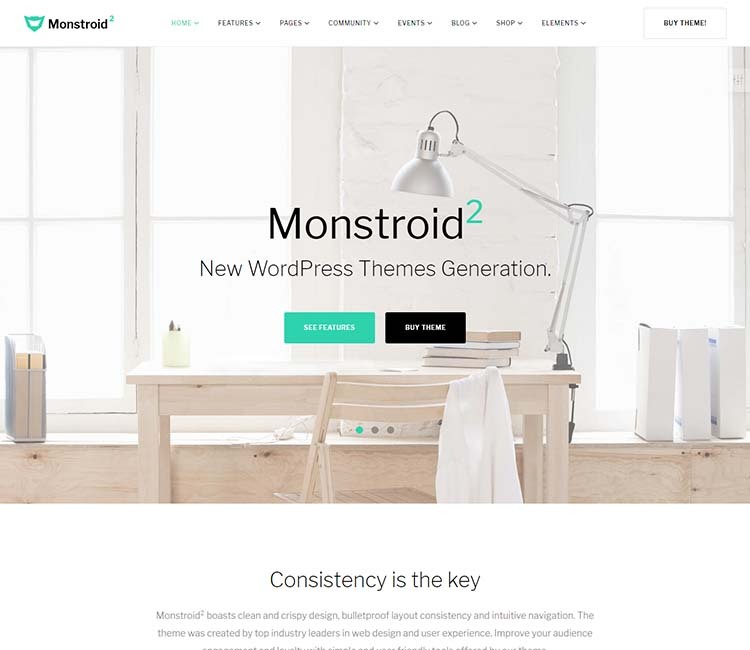 It was one of the best-selling WordPress themes of the past year. The multipurpose Monstroid2 current holds a full five-star rating (from 150 reviews) on the TemplateMonster marketplace. It comes with tons of options on the backend, and includes nine pre-built layouts to get you started. The Spencer theme features a softer design, featuring a pastel palette and elegant typography. It’s not as big as some of the multipurpose business themes we’ve looked at so far, but a streamlined, fast, and user-friendly product that keeps things simple. 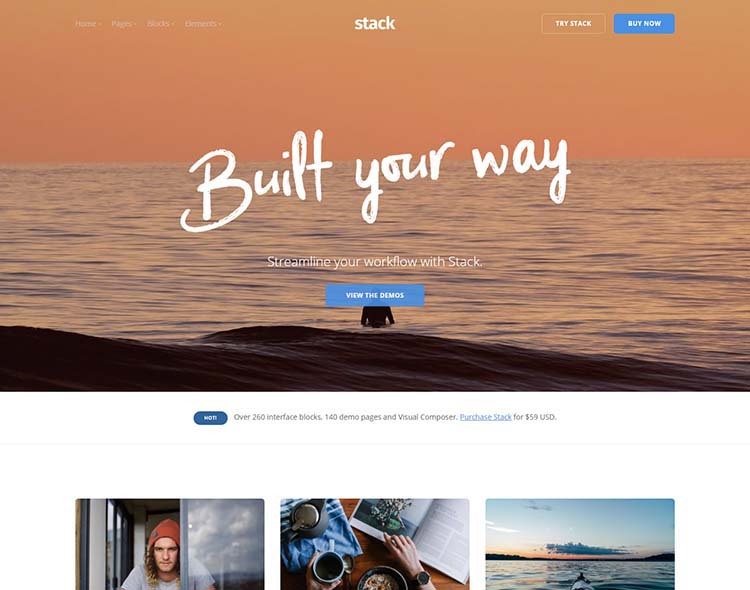 Stack includes a variety of installable demos to get things up and running in a hurry, and packs plenty of options into the backend to help you tweak and customize the elements to your liking. A few nice extras like Visual Composer, for drag-and-drop front-end page building, and Slider Revolution, are bundled free. A clean, light-weight theme for users who don’t want to fiddle too much with presets and options. Minimal, fast, and SEO friendly. 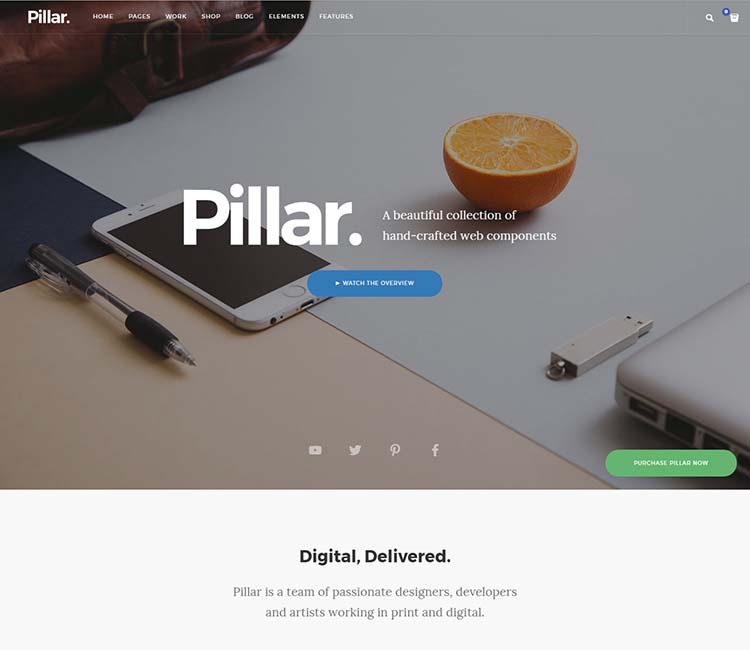 Pillar is a multi-concept WordPress tailored toward startups. Bold, modern design & striking typography earn this one a spot on our list. 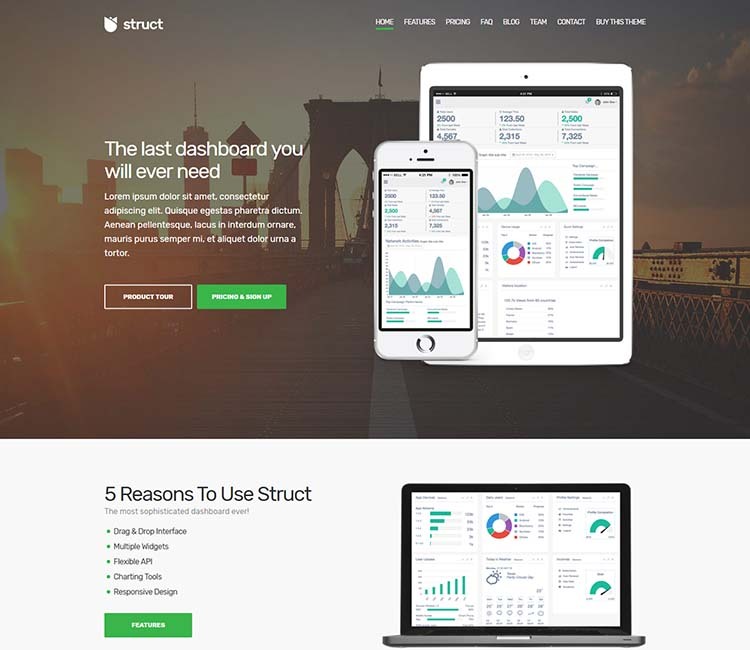 It comes with 26 homepage presets and includes Visual Composer. Another strong-entry from the design team at CSSIgniter, one of our all-time favourite WordPress developers. Perfect for software and app startups. 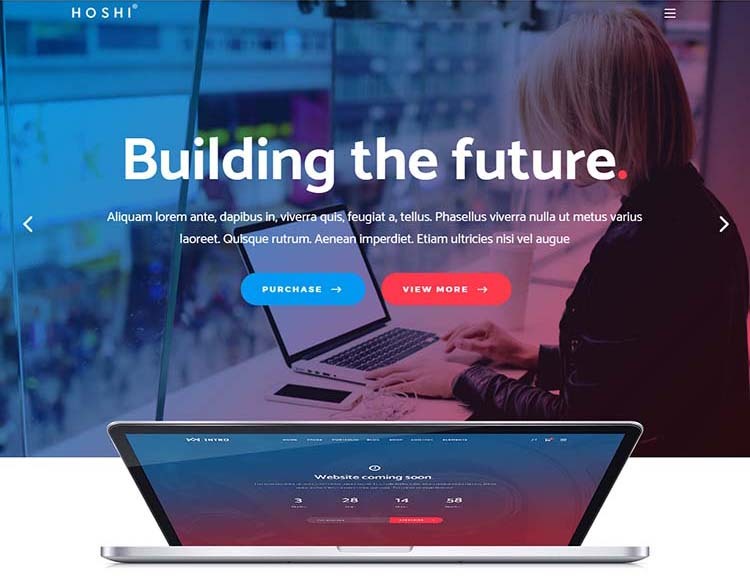 The eye-catching, brilliant design elevates the multipurpose Hoshi theme above much of the competition. 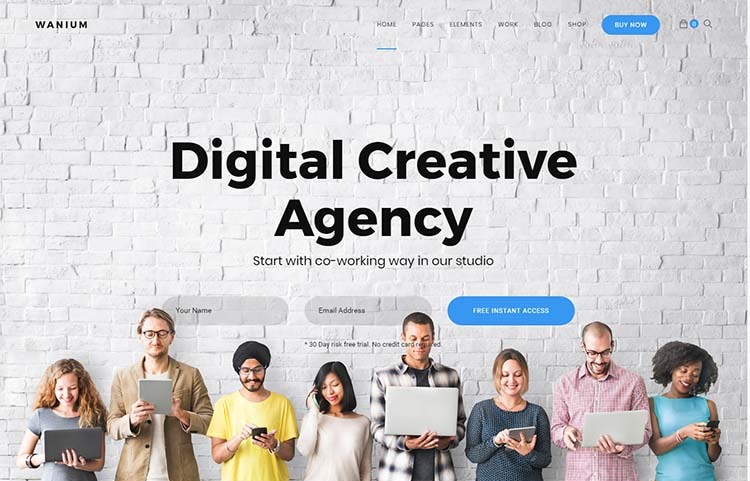 This is a good choice for creative freelancers and design agencies. Lots of options, and nine homepage presets to choose from. Perhaps the most value-packed product, Composer includes 72 concepts to pick from (with more being added)! 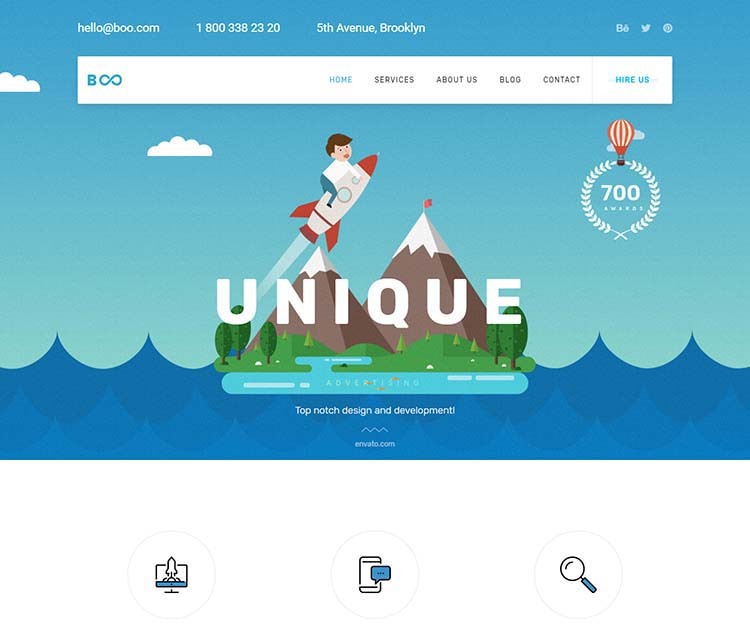 The cartoony, colorful design featured in the screenshot above isn’t all Boo has to offer: it bundles several unique homepage designs, suitable for a wide variety of small businesses, and 200+ layout variations. Tons of templates (tailored to specific niches) and a vast array of options and extras make Wanium a great choice. Designed especially for freelancers and agencies, Vangard is bright, bold, and will make a great first impression on your visitors. 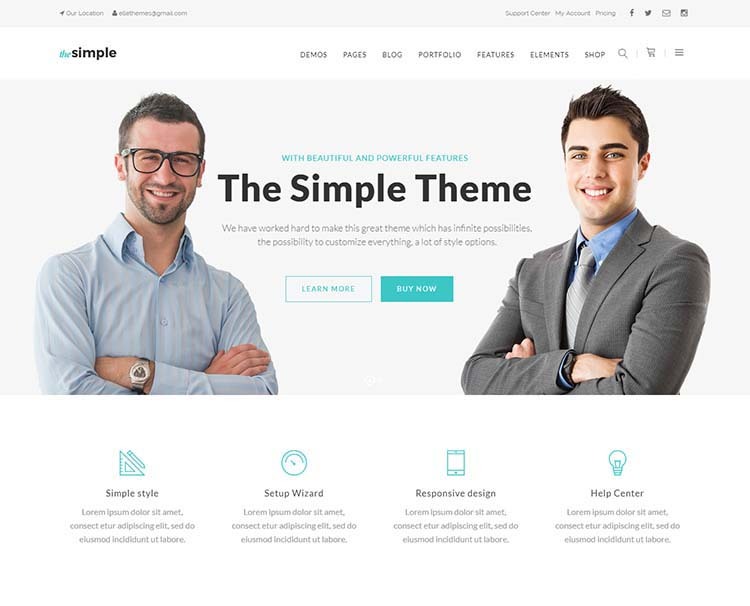 Not nearly as simple as its name would have you believe, this theme is another multipurpose business theme with lots of versatility. The clean design creates the perfect aesthetic for consultants and small financial businesses.